Ask fellow campers about "Stanley RV + Camp (formerly Elk Mountain RV Resort)" and nearby attractions. Question: Can anyone say if there is ATT connectivity? Answer: Hmmm ..... if any in this remote area more likely Verizon. However, technology advances and the RV park could answer that. I doubt it ... but the wifi works good here though. The closer you are to the restaurant the strong signal, in my experience. The spaces are adequate, the staff is friendly, the prices are low, and the on-site restraunt excellent. What else is there? We camped at Stanley RV + Camp (formerly Elk Mountain RV Resort) in a Travel Trailer. Took a "chance" with this park on account of latest review being in 2014? First off the senior owner is very nice as is all of the relations that work at the camp...and there many of them. Unfortunately ALL of their attention seems directed to the campgrounds "cafe" that services breakfasts thru dinner all but Monday's. While we found the food good, it was also very much overpriced. The campground itself was in need of major attention. The "terrace" level with a beautiful view of the mountains was dry and dusty, no shade not grass, and resembled more of a maintenance staging area than a campground. Most of the trailers there appeared to be long-term. I wouldn't store my motorhome there. It is nothing but a maintenance staging area, dry and dusty, with a number of what looked to be full-timers. As for the lower shaded area around the "cafe" a large number of the sites appear longer term possibly workers in the cafe. most of the sites appear to be longer stay campers. Dogs were not kept on leashes and allow to use the entire park as their private bathroom area and nobody seemed to care. Weeds around our hookups were over a foot tall and I pulled many just to get to the water connection. It was like nobody gave any attention, or cared, about what went on outside the "cafe". As for bathrooms/showers they were not what I would label dirty but far from up to my level of cleanliness. Both the individual toilet and shower "bays" we're very "tight"! I believe we stayed in site #12, in a motorhome, and no, we would not stay at this park next time in the Stanley area. This park deserves no more than a 4 rating. We camped at Stanley RV + Camp (formerly Elk Mountain RV Resort) in a Motorhome. This park has a variety of site sizes and types in the lower shaded area...some more level than others. Pads are gravel, no fire pits at individual sites, but a nice central fire pit/grill in a grass area with a large awning over picnic tables. The Pot Belly cafe on-site is very good casual dining. The smoked prime rib offered on Weds & Sat is great. Free laundromat and nice folks make this worth a visit. We camped at Stanley RV + Camp (formerly Elk Mountain RV Resort) in a Travel Trailer. We stayed here 9 nights and got one night free. The spaces are a bit tight getting in, but they were helpful with getting you parked. This also means you have close neighbors, which was OK since our friends were on one side and on the other side was a guy who worked; plus we are gone all day hiking and bicycling. The restrooms are good, but the showers could use some regular cleaning. It was quiet and a nice park. Nice and friendly managers. We would stay here again. We camped at Stanley RV + Camp (formerly Elk Mountain RV Resort) in a Fifth Wheel. The RV park is in a beautiful setting, but nothing fancy. The Pot Belly Cafe on site has wonderful food. Everyone is very friendly and helpful. We stayed in pull through site # 11. No TV reception unless you have satellite. WI-FI was good at our site. Would definitely stay here again. We camped at Stanley RV + Camp (formerly Elk Mountain RV Resort) in a Travel Trailer. This RV park has great potential, beautiful spots with large, shady pine trees, however, the piles of various "junk" around the park, along with lots of trash (vinyl gloves, cigarette butts, candy wrappers) around our site really took away from the beautiful area of Elk Mountain. We camped at Stanley RV + Camp (formerly Elk Mountain RV Resort) in a Travel Trailer. Definitely not a resort, spaces small and not very level. Beautiful view of Sawtooth Mountains, great ribs and breakfast in the restaurant. Lots of camping along river even in a 40' motorhome. We camped at Stanley RV + Camp (formerly Elk Mountain RV Resort) in a Motorhome. We managed to get one of the last two remaining spots on the "terrace". We asked for a terrace spot for the view and satellite compatibility. While I can understand a previous poor review describing the "terrace" as a junk yard. There are some large "leftovers" up there but probably less than 2 years ago. The "terrace" sites are small and quite a few of them are taken by guys in the area for seasonal work. Most of the main level sites looked nice surrounded by tall pines. It also appeared that most of them were taken by extended stay customers. For us, the view of the Sawtooth Mountains was worth putting up with the negatives of the park. We camped at Stanley RV + Camp (formerly Elk Mountain RV Resort) in a Motorhome. Even with older bathrooms and no cable TV, I give this park a 10 because of the friendly people and the view. I've never had a better view in any campground. Food in the restaurant right on premise was delicious. I ate dinner, lunch, and breakfast and everything was wonderful. I've never had better sausage and eggs in my life. And, don't miss the pie. I ran into a problem with my propane hose and three of the gentleman who either work or own the place didn't hesitate a second to fix it for me. My back up skills are less than acceptable. They didn't hesitate when I told them. The owner, I think, came and backed it right in for me. Great place, great people, and it spread to the guests. I met several who were exceptionally nice. Happiness is contagious, I guess. We camped at Stanley RV + Camp (formerly Elk Mountain RV Resort) in a Travel Trailer. This park has two levels, we stayed in the upper level. The lower area has more shade and trees, but the upper level more of a view. The RV spaces are dirt with some weeds, most of the dirt is very powdery. I would think it could be a real muddy mess after a rain or snow melt. The owners were very helpful and exceptionally nice, the restaurant was pretty good and had reasonable prices. Known in the area for their barbecue although we didn't try it. Looked like the locals eat there a lot, always a good sign. I didn't find the showers too inviting so passed on that experience, but then I'm kind of picky. I see one reviewer thought the bathrooms were dirty I didn't think they were any worse than most public restrooms. We leave our computers at home so can't comment on the Wi-Fi. We had a ruptured fuel line and there was a great mechanic who fixed it for us who lives in the RV park during the summer months. We did discover Stanley, at least at this time, has no automotive repair shops or mechanics at all. If you need a mechanic while visiting Stanley ask in the office for Neal, I highly recommend him. Between the only two RV parks in Stanley that have hook ups, Valley Creek Motel And RV Park and Elk Mountain RV Resort, my vote would be the later when hook ups are a priority. Not perfect as RV parks go but keeping in mind for a pretty rustic, undeveloped area, it's not bad. I would stay there again. We camped at Stanley RV + Camp (formerly Elk Mountain RV Resort) in a Motorhome. This is probably one of the worst campgrounds we have stayed at, mainly because they only had room for us on their "terrace" I use that description lightly. it is their parking lot, dump site and place to leave trucks, run down RVs ,etc. You can see the Sawtooth's from up on the "terrace" but do not under any circumstances get a spot there. the restrooms were very dirty, never cleaned while we were there. The Wi-Fi was iffy. we asked for a refund so we could move but they refused. We left anyway. I do not recommend this place. Unfortunately there are few RV parks in the area...you might try one attached to a motel in town or try Sawtooth City. 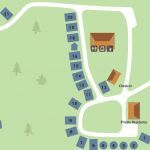 It would be better to stay at any of the lakes in the forest service sites. Good luck. We camped at Stanley RV + Camp (formerly Elk Mountain RV Resort) in a Fifth Wheel. We were parked directly next to the good restaurant at this campground. As a result we were among the very few who had wifi at our site. Wifi is available in the restaurant. 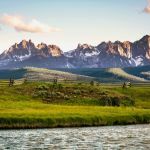 There is considerable work being done to improve the sites at the campground especially on the upper level where there is a great view of the Sawtooth Mountains. Exceptionally friendly owners made this week-long stay more enjoyable. We camped at Stanley RV + Camp (formerly Elk Mountain RV Resort) in a Motorhome. First of all, the people who run this park and associated restaurant are wonderful, friendly people. The food in the restaurant, which includes smoked prime rib, is outstanding. There is free laundry and wifi, and the restrooms and showers, located in the same building as the restaurant, were clean and servicable. That all said, unfortunately, the campground and sites themselves are not in very good shape. The sites are all dirt, and very dusty, and most are not too level. The roads are all dusty dirt. The electrical hookups were in terrible shape, and actually looked downright dangerous. The weekend we were there, unfortunately, coincided with an annual marathon type race, and the campground filled up with tent campers and noisy dogs and kids on every available space, including the common areas which were really not campsites. We ended up leaving a day early. 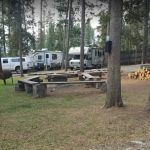 The owner apologized and refunded the money willingly and stated that the race was an unusual event and normally the campground was not that over run. He also stated they were improving the infrastructure. We believe he was sincere and will probably give them another try in the future. Again, we really liked the management, and hope they improve the campground and do well. We camped at Stanley RV + Camp (formerly Elk Mountain RV Resort) in a Motorhome. Very nice campground west of Stanley in the Sawtooths. We were here in September and appreciated the electrical hookups. This CG is rustic and has plenty of shade. The on-site restaurant is good and very reasonably priced. We would stay here again. We camped at Stanley RV + Camp (formerly Elk Mountain RV Resort) in a Travel Trailer. Nice RV Park Near the Sawtooth National Recreation Area. Excellent Barbecue Restaurant. We camped at Stanley RV + Camp (formerly Elk Mountain RV Resort) in a Fifth Wheel. Are you affiliated with Stanley RV + Camp (formerly Elk Mountain RV Resort) ?